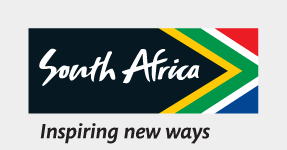 SSouth Africa offers a fascinating mixture of cultures rich in tradition, language and crafts. Experience music, dance and food from across the country, as well as Tsonga crafts and Zulu beer-brewing; and don’t forget the magical clicking language of the San people. Shangana Cultural Village in Hazyview, Mpumalanga, reveals the fascinating mix of Zulu and Tsonga cultures that created the Shangaan nation. Explore the Tsonga artistry in craft, music and homemaking features. A visit to the Marula Market in the village is a must. CCalled the Rainbow Nation, South Africa is one of the world's most multilingual and culturally diverse nations, and with 11 official languages, everyone is recognised. SSimunye Zulu Lodge, KwaZulu-Natal, is a riverside village, where you can interact with the Biyela Clan, who are directly related to the royal Zulu household. Find out about Zulu social and political structures, watch daily chores being performed, and be entertained by beer-brewing, drumming and dancing demonstrations. VVisit the Basotho Cultural Village, in the mountains of the Free State. Discover the lifestyle of the southern Basotho nation first-hand when you are welcomed in the chief’s kraal, and visit the homes of his wives and subjects. A traditional meal and riding a Basotho pony is all part of the experience. You will find the visitor-friendly Matsamo Cultural Village in Mpumalanga. Learn about tending crops, raising cattle and craft-making, as you chat with the locals. A highlight is a song and dance performance of the Swazi culture. !Khwa ttu San Culture and Education Centre, Yzerfontein, Western Cape, takes you back to the time of the San people. Learn about their history, spirituality, rock art painting skills, and their complex “click language”. A great interactive experience is a nature walk accompanied by experienced San-trackers or traditional herbalists. Spear throwing, stick fighting, basket weaving, and bead and pot making demonstrations are just some of the highlights of the fiercely proud Zulu community that make up the DumaZulu Cultural Village in KwaZulu-Natal. You can also join in the feasting, dancing and singing. EEngage with the semi-nomadic Nama pastoralists, delighting in their musical “click language” at Riemvasmaak, in Richtersveld, Northern Cape. Watch a traditional stapdans (step dance), ride in a donkey cart, and listen to their stories. Cata Village in the Eastern Cape is a remarkable example of a land restitution success story. Expect a warm welcome as you are invited to experience day-to-day life in a traditional Xhosa village—with a friendly game of football thrown in for good measure. Xhosa matriarch Mama Tofu, and her daughter, Zinzi, teach you about the traditional rituals and the daily way of life in a Xhosa village at Khaya La Bantu Cultural Village in the Eastern Cape. Listen closely as Mama Tofu dispenses her inimitable advice on everything from marriageable men to curing trouble in the bedroom. The Botshabelo Historical Village is an open-air museum that preserves the customs and the various art forms traditionally practised by the Ndebele, particularly their women, including beadwork, murals and the embroidering of blankets. Find it in Middelburg, Mpumalanga.